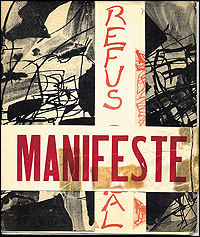 In 1948, Paul-Emile Borduas, then a little-known painter on the international scene, living in the Province of Quebec, Canada, together with sixteen friends and students, proclaimed publicly a new era in terms of art and social attitudes by publishing a manifesto that they called Refus global. Unknown to them, similar groups had arisen in other parts of the world, as examples the Abstract Expressionists in the United States and the Cobra Group in Europe. This article explores the "Refus" and its relation to the context from which it emerged, and to which it ultimately contributed. ABRAMOVITCH, Sam. Borduas -- Then and Now. AmeriQuests, [S.l. ], v. 3, n. 1, apr. 2006. ISSN 1553-4316. Available at: <http://ameriquests.org/index.php/ameriquests/article/view/65>. Date accessed: 25 apr. 2019. doi: https://doi.org/10.15695/amqst.v3i1.65.